I never ran a restaurant myself, so most of my knowledge on this matter is second hand. 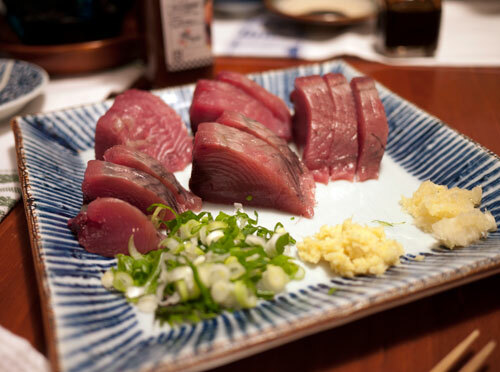 My mother ran a very successful restaurant in midtown Manhattan called Tsukiji Sushisay. In addition my stepfather was the accountant for several Japanese restaurants in NYC. I did however work the front desk for a few months, and helped out over the years with things like translating legal documents, making brochures, or creating their website. 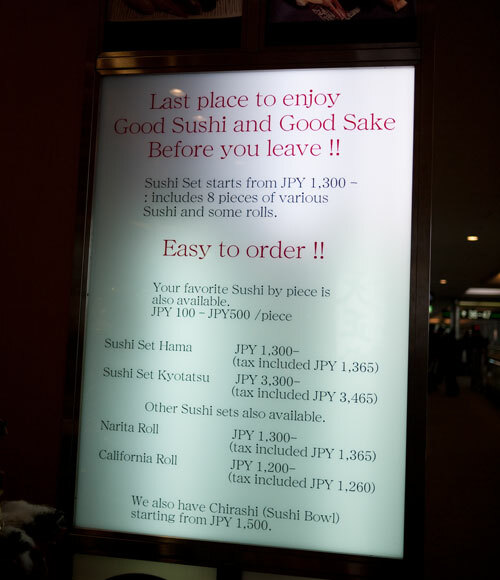 I translated the menu to English, and even taught basic 'sushi-counter customer-service English' to many of the chefs. "I'm sorry, we don't have spicy tuna." is one phrase I remember teaching them. 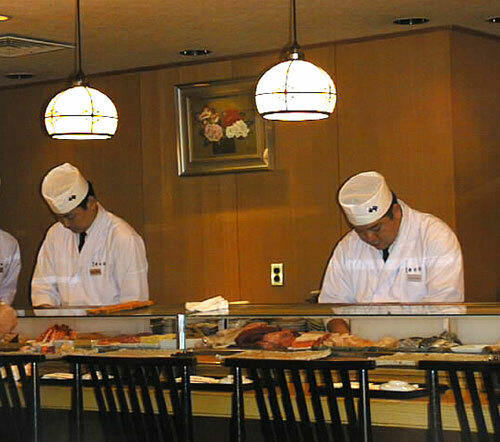 A post about basic sushi restaurant etiquette, plus additional thoughts about 'good sushi'. 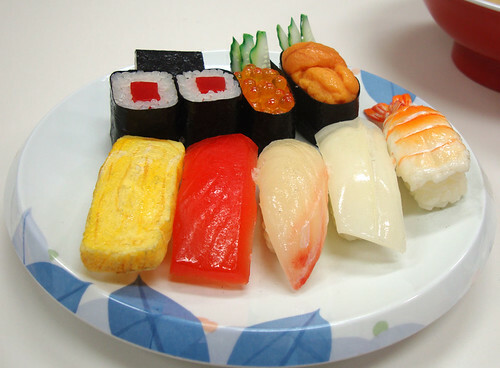 From what age it safe to give sushi or sashimi to kids? As we enter midsummer in the Northern hemisphere, chances are you're going out for sushi more than in the winter since it's relatively light on the stomach. But summer heat also means you need to be a bit more careful about food safety. 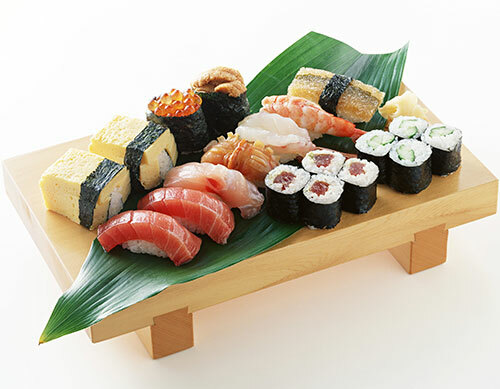 While sushi does not just mean raw fish, a lot of it is raw; plus, sashimi does involve slices of raw fish So, how safe is it to give raw fish sushi an sashimi to small children? At what age should you start? This is what Japanese sources recommend. 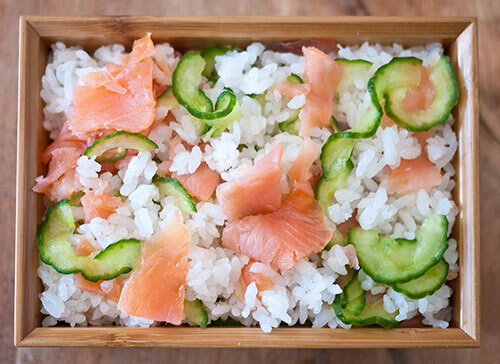 Once you know how to cook perfect Japanese style rice, sushi rice is a snap. Two documentary films that show the importance of sushi, and pastry, in their respective cultures. This month's Japan Times article is about all the raw-protein foods that are eaten in Japan, and consuming them safely, plus how to make a great plate of sashimi. More on both topics below. 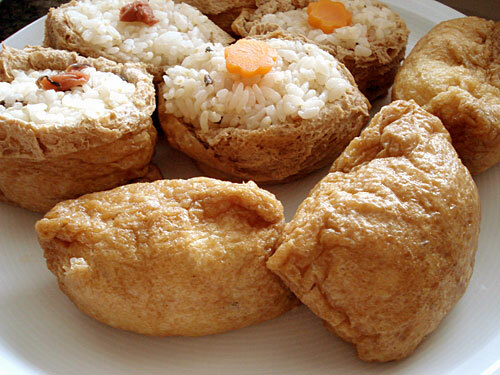 Four years ago I posted a very basic recipe for inarizushi, homely sushi that is stuffed into a fried tofu skin or aburaage. It's been one of the most popular articles here on Just Hungry ever since. That only gave instructions for stuffing pre-made (canned or vacuum packed) skins, so I thought I'd update it with instructions for making your own inarizushi skins from scratch. These instructions will be particularly useful to vegetarians and vegans, since most if not all premade skins are cooked in a fish-based traditional dashi stock. And, for all of you who have had problems making Eggs in Treasure Bags with those small, thin canned skins: You'll find that making the eggs from your own, sturdy skins is so much easier.